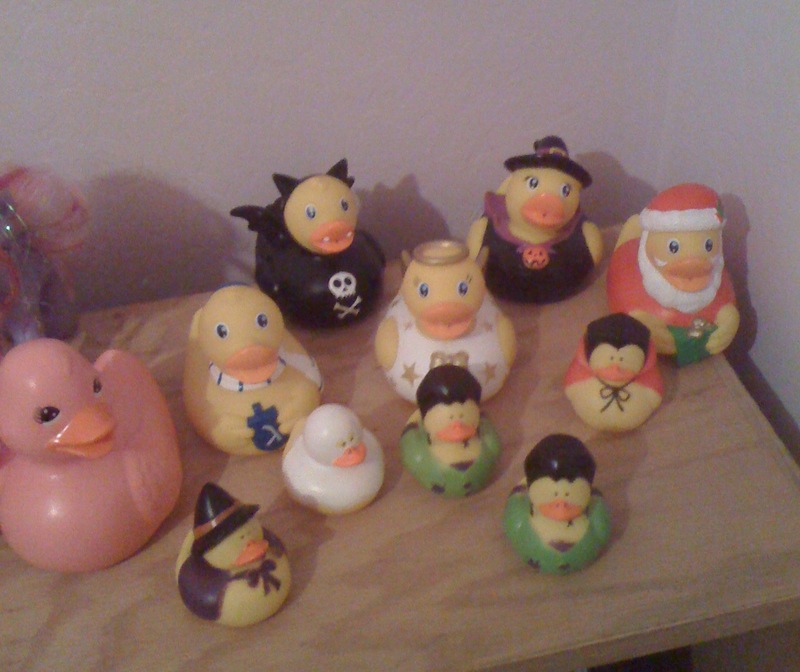 This is Lydia's collection of rubber ducks . She loves them, and has a variety of both Christmas , Halloween and a pink one at the moment. Last Christmas, whenever asked what she wanted, she always replied "rubber ducks." She arranges them herself on the top of a bookshelf in her room, and carefully keeps them separated from the horses that live on the other half. She does play with them, but they are always placed carefully back home. Her favorite duck is the pink one !